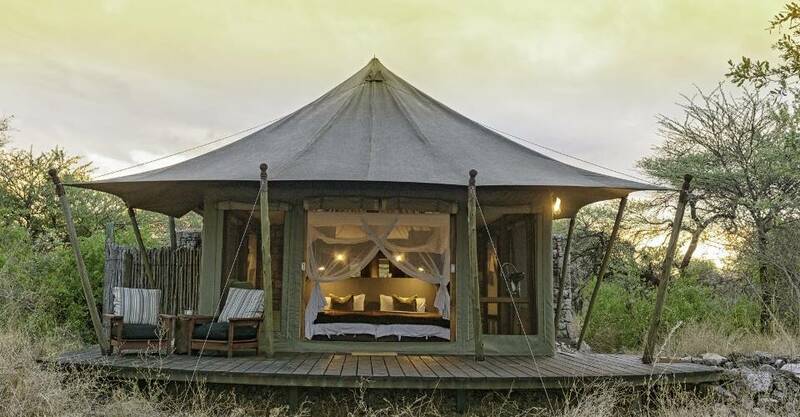 Onguma Tented camp has seven luxury tents each with a view over the waterhole. The tents all have an indoor bath with a luxury outdoor shower. There are few things better than to start or end your day with an outside shower within nature. The u-shaped tent maximizes privacy but still allows for excellent views of the natural environment. The central area of Onguma Tented Camp offers a view of the waterhole and includes a reception, lounge and dining area. This comes with a swimming pool. There is also a fire pit to end off the day in this classic safari-style camp. 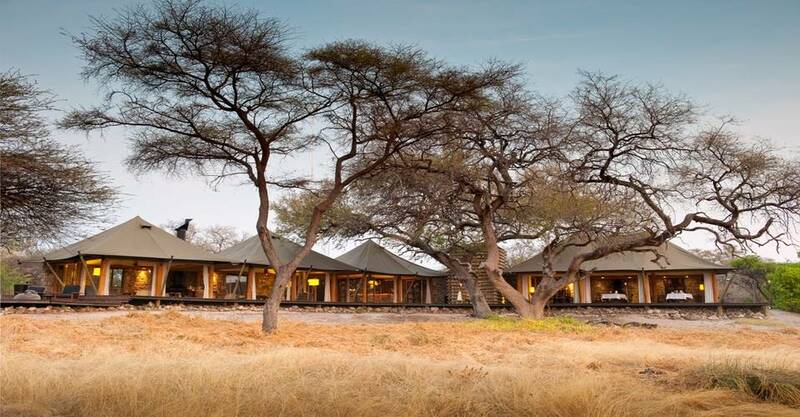 This is a perfect luxury and fully inclusive lodge that offers the ideal location near Etosha national park. Onguma is a fantastic option as it offers a broad spectrum of accommodation options. You can choose your level of comfort from a camping site to a luxury private villa or tented camp. 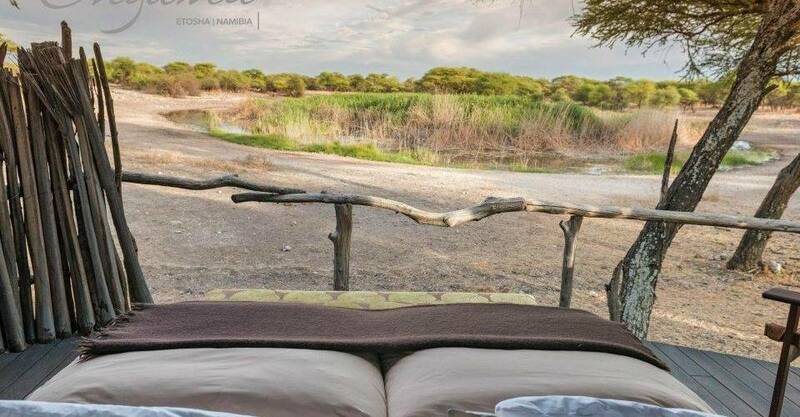 The lodge is close to the Etosha National Park, and if you seek a more tranquil location, we can highly recommend the Onguma Collection as a highly rated accommodation of choice. 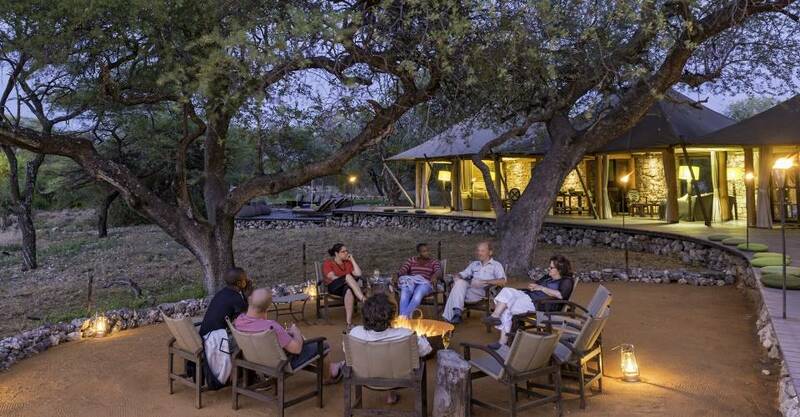 The Onguma tented camp is a tremendous peaceful bush experience with the necessary comforts to offer you the well-deserved luxury after a day in the Etosha national park. 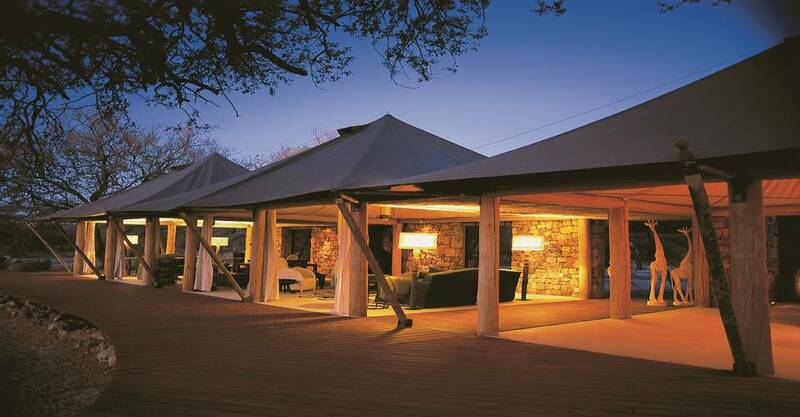 The Onguma Tented Camp is around a waterhole and consist of 7 luxury tents, each overlooking the waterhole. Each Safari Tent has a bath as well as an indoor and outdoor shower. 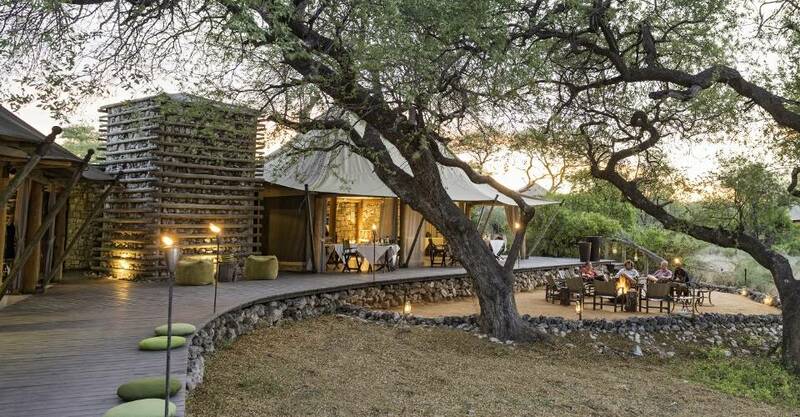 The main guest area overlooks the waterhole and includes a reception area, comfortable lounge, rim flow swimming pool, dining room as well as an open fire pit to complement this Classic Safari-style camp. Free Wi-Fi is available to guests. Hair dryers in the room. No children under the age of 12 years are allowed at the Camp. *All activities can be booked and paid at the lodge. Our Tented Camp has no fences in and therefore no children under the age of 12 years will be allowed. Children of 12 and above stay in their room and pay full adult rate. The above rate for guides is a nett rate and includes all meals. 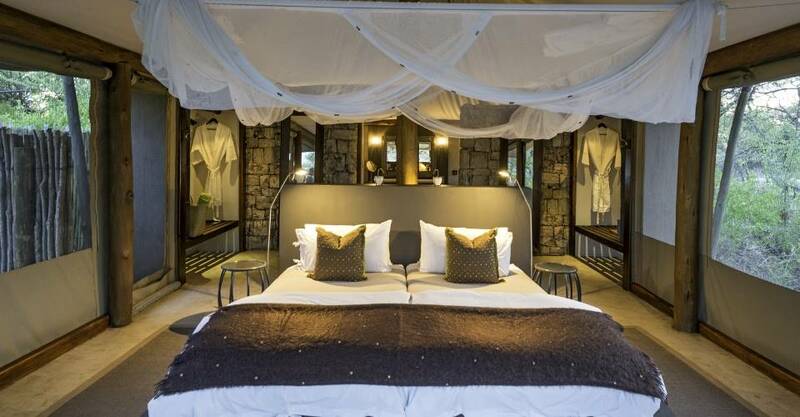 If the Guide Room at Onguma – Tented Camp is already booked, Guides will be accommodated at any other available camp at Tented Camp guide rates. 1 Activity per Day-choice between sundowner drive(on Onguma Reserve)or Etosha AM game drive. Transfer to and from the Omguma & Mokuti airstrip.